What a great reward for two of our most longest serving clients, Team Ellerton Zahra Racing, who enjoyed Group 1 success with BOOKER in Saturdays Futurity Stakes at Caulfield. Ridden by Dean Yendall, Booker was first-up from a spell and came from the back of the field for a fabulous win. Also at The Heath, Laming Racing got a black-type victory with JAMAICAN RAIN who was granted a Damien Oliver special to take out the Mannerism Stakes. A duo who enjoyed a fabulous 45 minutes was Proven Thoroughbreds and Steven ODea who won consecutive races at Eagle Farm! Thanks to Boris Thornton, it began when RECKLESS CHOICE strode on to make it two straight wins for his owners while SCALLOPINI started his campaign just as he ended the last, a winner! Munce Racing may have been runners up to Proven Thoroughbreds, but he got a victory of his own when ZOUCARA scored impressively from last to make it three straight wins this preparation. Parnham Racing Stables magnificent thoroughbred TURBO POWER had a solid win while Gollan Racing claimed a double with PERFECT WITNESS and CAPITAL CONNECTION. Michael Hickmott scored a victory with a powerful run from FRANKED and 2K Thoroughbreds also did well with an outstanding win by BALLER. The trip to Adelaide from Bendigo was well and truly worthwhile for Mick Sell when stable star PENNY TO SELL won again continuing a big six months for the mare, who just missed out on a spot thanks to a terrific campaign for the All Star Mile! 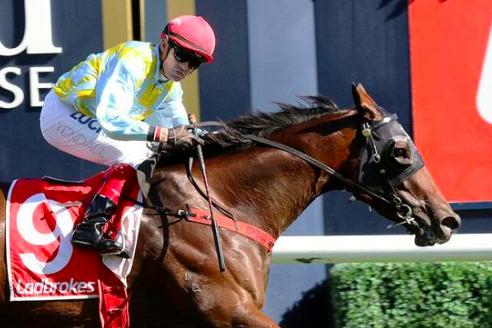 Meanwhile at Rosehill, RED CARDINAL was back in the winners stall in the Paramatta Cup his first start since the Melbourne Cup for duo Kris Lees Racing and Australian Bloodstock. The partnership of Portelli Racing with Darby Racing amounted to a dominant win by TIME TO REIGN at Rosehill Gardens, a possibility now for a matching pair of Golden Slippers. Success was far and wide including Brunton Racing on Sunday with the horse they are saying could be their best yet, MANDELA EFFECT a strong winner as short favourite in the Magic Millions Classic while LORD SMEDLEY made it a double in the last. Gary Clarke also enjoyed success in Darwin with three winners, including one in the Winx silks in Race 1 named MAKIN THE GRADE. A big congratulations to all our clients who enjoyed success over the weekend, may it continue over the next week and beyond!